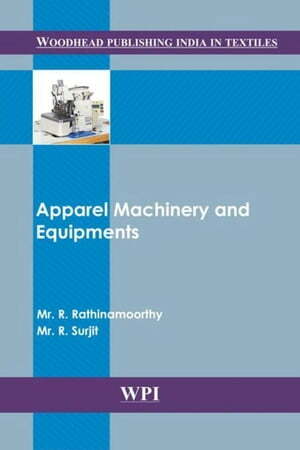 Collins Booksellers - Apparel Machinery and Equipments by Rathinamoorthy, R., 9789380308159. Buy this book online. This book aims to develop a broad range of knowledge in the area of apparel machinery. It describes the various types of machines used in the different departments of apparel industry. It provides details on how the machines work and helps readers to recognize the basics, fundamental operating procedures, and requirements of the apparel machinery. Research in the field of apparel machinery has gained impetus recently, and this book helps readers to understand the operations in detail.